Don’t miss these exciting events and giveaways for bike-to-school week September 17-25! BYU students and Provo school district students will be treated to free tune-ups and bike registrations, group rides, interesting lectures, and more. Plus, there activities throughout the week for non-students and the whole family to enjoy! Saturday Sept. 17, 11-1, Bike Economics 101 & Brunch, Live from Portland, the Muse Music Café (suggested donation $10-20). Great for adult and high school riders. Sunday Sept. 18, Ride to Church, at whatever time it starts. Great for the whole family. Monday Sept. 19, Night Ride, 9 pm, Joaquin Park. Great for adult and high school riders. Wednesday Sept. 21, Free Tune-ups, 8-1, Brigham Square. Great for BYU students. Wednesday Sept. 21, “Livable Communities & Bicycles,” 7, Provo Library. Great for adults and high school students. Wednesday Sept. 21, Bike Polo, 7, Wells Fargo Bank Parking Lot. Great for adults / high schoolers to play, great for kids to watch. Friday Sept. 23, Provo Downtown Rock and Roll, 6:30 p.m. (Center Street will be closed to automobiles for this event). Great for the whole family. Don’t forget to keep checking BikeProvo.org, our bike events calendar, and the Bike Provo Facebook page for more updates throughout the week! 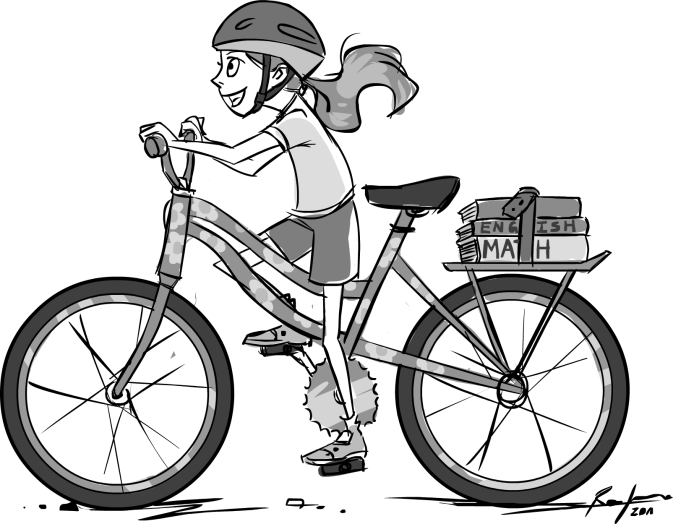 This entry was posted in Kids and Family Cycling, Local Biking Events, Provo Bike-to-School Week, University Bike Scene by Jamie. Bookmark the permalink.